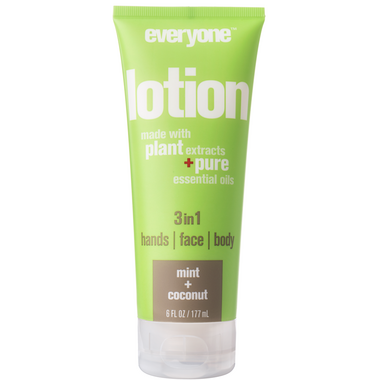 This versatile lotion is light and moisturizing enough to be used on face, hands and body. Nutrient-rich plant extracts and Vitamin E are combined with the crisp, refreshing essential oils of Spearmint, Peppermint, and Orange to leave skin nourished and gently scented. Formulated for every body and priced for every budget. Conveniently sized to bring anywhere. Packaged in a completely recyclable tube. Bright Spearmint and Peppermint and mellow Orange essential oils are combined with tropical Coconut extract for a refreshing experience that will leave you smelling and feeling great. Love this lotion. Smells amazing, and is a great consistency. Not greasy, and not too thin (or too thick). Iâ€™ll definitely be buying it again!! very good. it's no greasy and has a long lasting smell! I love it, smells just like peppermint icecream.